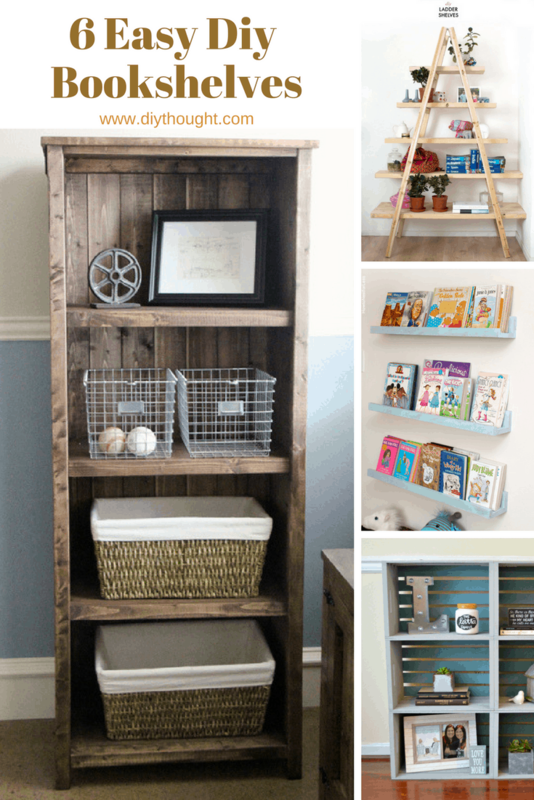 If you have so many books but lacking in space to put them then these 6 incredibly easy diy bookshelves are what you need! 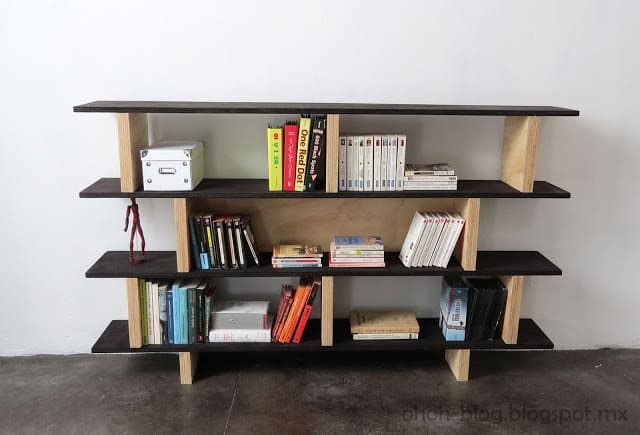 These bookshelves are all incredibly easy to make, so much so that they make good started woodworking projects. Some don’t require a saw, another no nails, how easy is that! 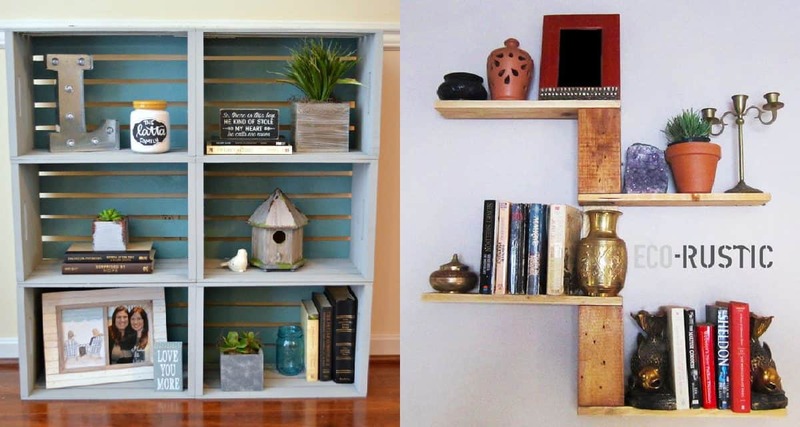 It can’t get much simpler than this stylish crate bookshelf. The crates are arranged, painted then nailed into place. Click here to read the full tutorial. The natural wood and black make a striking combination but the black can be swapped out for any other color to tone in with the current decor. The results here are amazing and no nails are required! Follow this link to find out more. 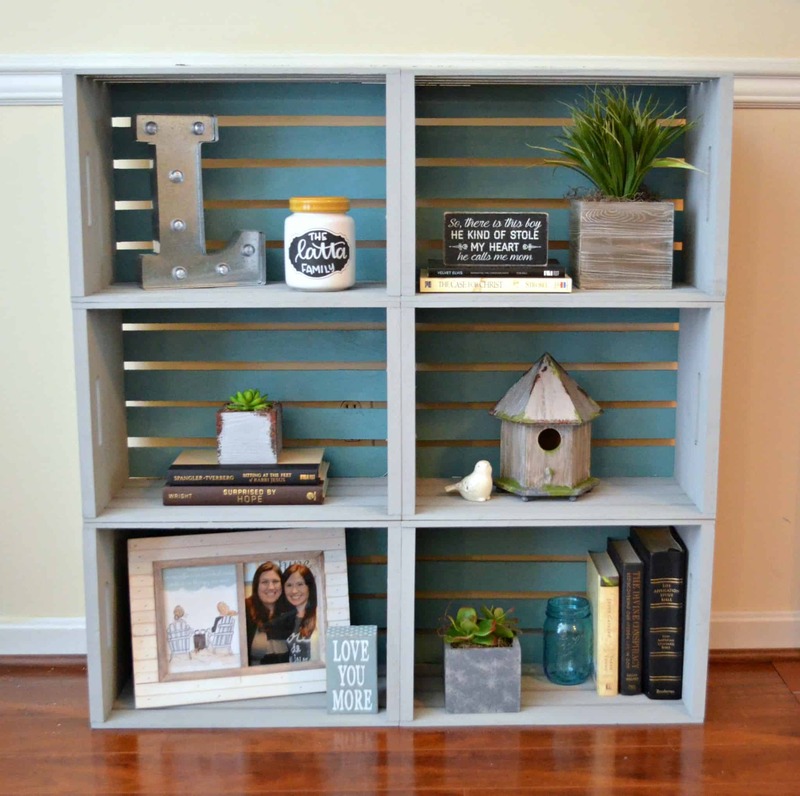 Floating shelves are super cool and a great way to make a feature of unused wall space. Follow this link to find the tutorial. 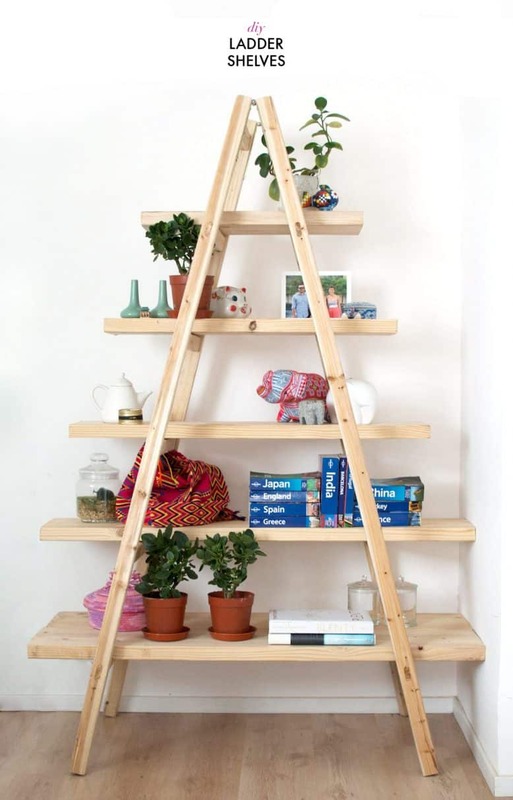 This ladder shelf looks like it comes straight from a designer furniture store but in actual fact, it is incredibly easy to make and made from a wooden ladder. Click here to read the full tutorial. 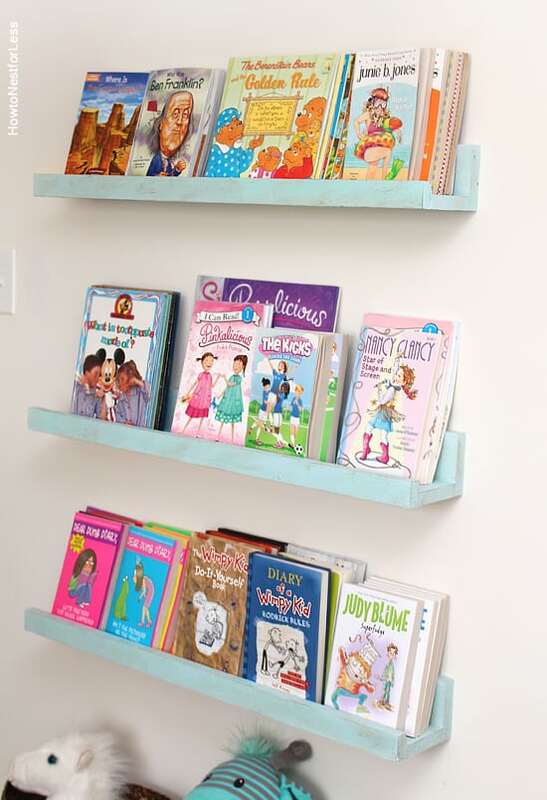 Ledge bookshelves are an ideal way to display children’s books. The books are easy to see, easy to get which makes them even more attractive to read. 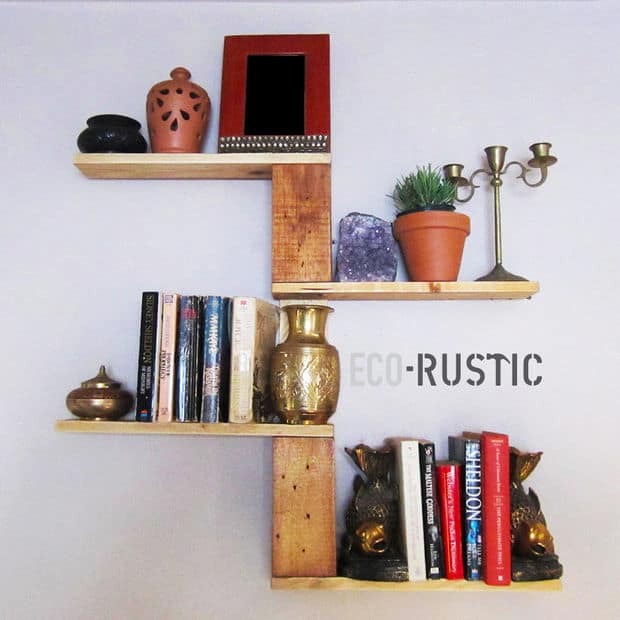 Find out more about these ledge shelves by clicking here. 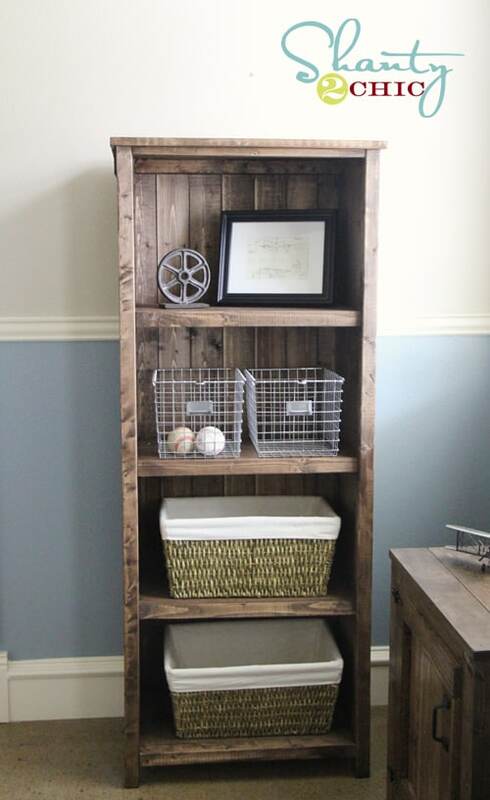 This lovely Kentwood bookshelf is perfect for any room in the house! It is a little more complicated than our other bookshelves but the results will be worth it! Head over to Ana White to get the free plans.